The energy sector has been in the news non-stop for the last year, as the industry attempts to deal with a challenging economy and volatile commodity prices. But in spite of news reports, there are opportunities for energy professionals, a group who are highly skilled and well educated (75% have at least a Bachelor’s degree), and whose breadth of experience means they have plenty to offer environmental sub-sectors. 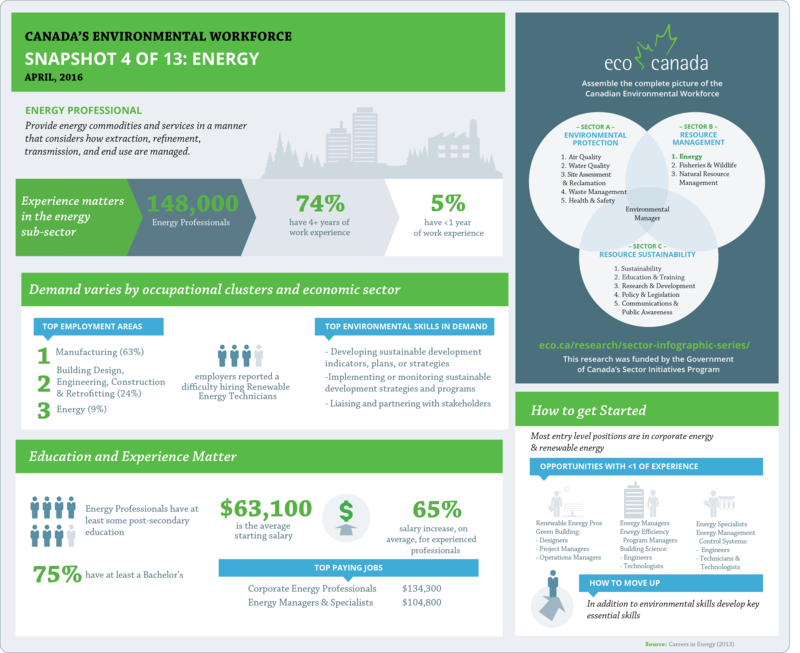 The snapshot and full report look closely at the skills shared between energy sector employees and environmental professionals. For example, the ability to liaise with stakeholders, conduct environmental assessments, or develop strategies and programs to monitor sustainable development are all skills energy professionals possess, and are transferrable to positions in the environmental sector. The report also looks closely at other skills that may pose a barrier to energy professionals interested in a transition, and offers a starting point for skills development. Both government and business are investing in skills development for professionals in renewable energy, as they rise to meet new challenges set forth by the COP21 conference in Paris and, now, the shift in economic areas of growth. 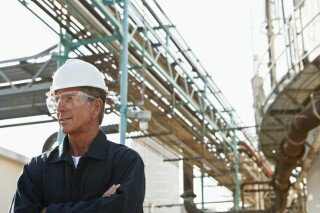 For professionals focusing on career advancement, the report highlights the most sought-after positions for environmental professionals — also an experienced group who tend to find positions in management and leadership roles. Here, the experience energy pros have spent years cultivating again works in their favour. Want to learn more? View the monthly snapshot below for an overview of the opportunities and challenges facing energy professionals.